Check out if Free the Children is in The Top 100 NGOs 2013 Edition! Reached more than 1 million youth. Twelve-year-old Craig Kielburger founded Free The Children in Toronto in 1995, inspired by a tragic news story detailing one child’s life as a factory slave. Today, it has grown into one of the world’s biggest networks helping children through innovative education and development projects, with more than a million young people involved across 45 countries. Largely youth-funded, the organization aims to free children from poverty and exploitation, in the process demonstrating that they have the power to effect positive change in the world. Free the Children operates both domestically, as well as at the global level. In Canada, it is focused on youth engagement and leadership. 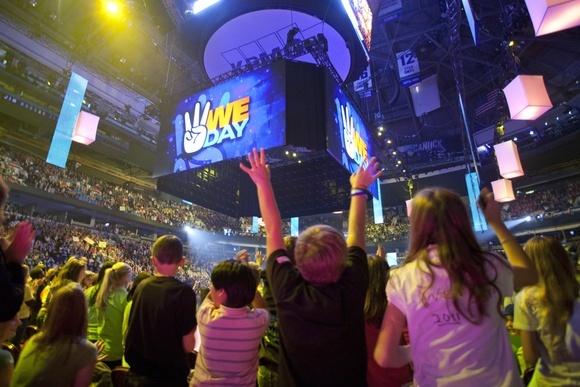 The annual ‘We Day’ event, for instance, features speeches and performances from global leaders, social activists and cultural figures, and requires each attending school group to commit to undertaking one domestic and one international service action over the following year. Internationally, Free the Children’s flagship ‘Adopt a Village’ development model is designed to meet the basic needs of communities and eliminate obstacles preventing children from accessing education. Currently active in Kenya, Ecuador, India, Haiti, China, Nicaragua and Sierra Leone, the program targets four ‘pillars’ – water, health, education and alternative income – as a means to holistically address intertwined community development goals.